Throughout my years of meditation and mindfulness training, I have picked up some important tidbits that help me get the most out of each time that I sit. Some of these pointers have come from 40-year monks that I have lived with during my time an ashram. Some have come from books and lessons I have read written by yogis, monks, saints and sages. Lastly, some have come from my own practice, which were found through trial and error. Here is the fourth tip… I hope it helps with your practice! When I sit… I don’t beat myself up if I do get lost in thought and spend most of my time somewhere else. It happens to the best of us and beating myself up over it is only giving my mind or my ego more ammunition to keep me distracted from my practice. Think about it, who is the one who drew my attention into thought land in the first place? The ego. And who is the one who beats me up (mentally) for following it there? The ego! As a monk once said to me “it’s ego in, ego out. That is its trick.” So don’t beat yourself up! Accept it and move on… no matter how many times it happens. Most people spend a considerable amount of their lives not being aware of how many thoughts enter their consciousness on a daily basis. As a result, sitting to meditate for the first time can be challenging. Trying to calm the thought storm and enter a very peaceful place is going against years of mental programming… it will take time! That is why meditation for beginners can take a little while to gain some traction. Don’t beat yourself up no matter how long you have been meditating for. There are different meditations and some of them are centered around watching the thoughts pass like a cloud in the sky. Allow them to come and go as you would a cloud. It is simply a matter of watching, accepting, and keeping a healthy distance. If you spent your time being concerned about how fast clouds pass you by, you would probably not be very happy. Why be concerned about something you can’t control? Treat your thoughts the same in meditation… with no attachment. There are many tips that can help you engage more deeply in a meditation and different people will respond differently to each tip. 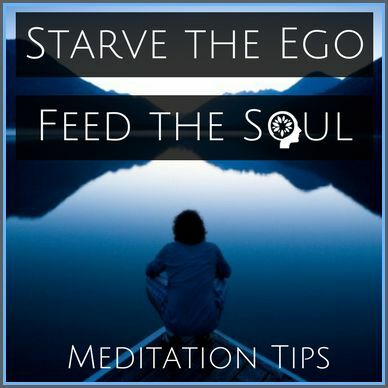 Check out more tips for meditation here. The more you sit, the more you will create a list of your own. So, whether you are a once a week meditator or an everyday meditator, find what works for you and create a strong practice around it. What is Your Anchor during Meditation?